This morning I woke up, hit snooze, wandered to the shower 10 minutes later than I needed to and eventually made it out the door; a completely mundane morning that I was able to enjoy because many years ago men and women put on uniforms and fought for what they believed in. As a social media strategist/community manager/citizen of the interwebs I am pretty much always online but some days, like today, I let my brands stay silent we don’t Tweet, Facebook, Instagram or Vine. Today is not a day to offer a really great sale, today is a day of solemn remembrance because somethings deserve to remain sacred. As I walked to work this morning I hoped against hope that no brands would post in honour of Remembrance Day or Veteran’s Day in any way other than, “Lest we forget.” That hope was ill placed. 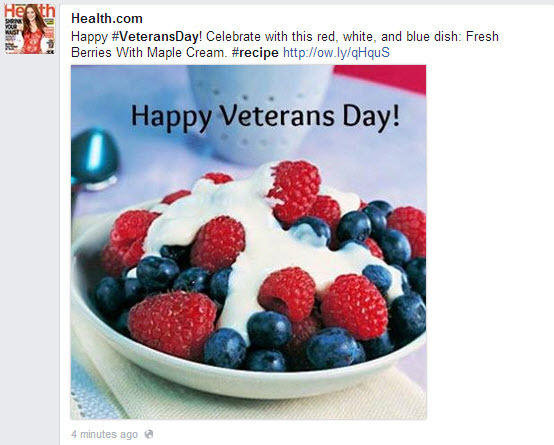 Health.com decided that Veteran’s Day was the perfect day to share a veteran/USA themed recipe post; because vets suffering from PTSD need to get their daily dose of antioxidants, right? We’ve seen this before; remember when ATT decided that 9/11 posts were totally cool? Or when a Marriott hotel offered complimentary coffee and mini muffins in an effort to memorialize the twin towers? Both companies apologized but the damage to their reputations was done and no apology could change that. 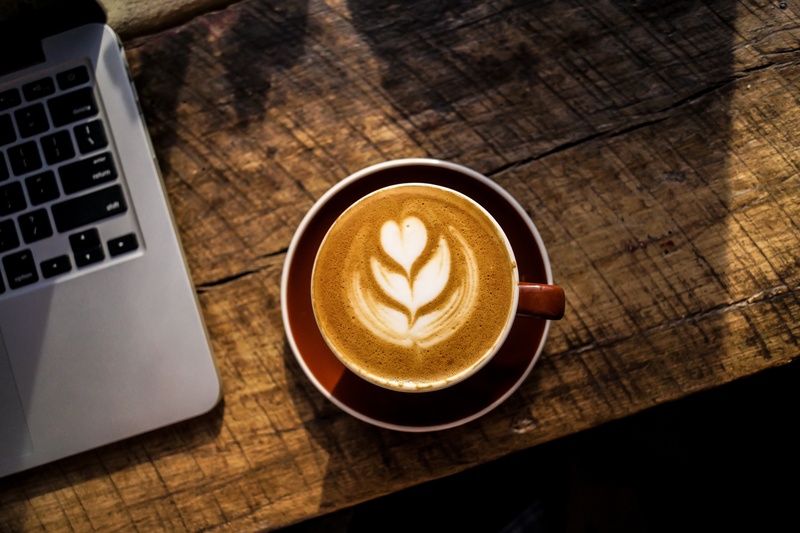 Social media managers and community managers are the voice of the brand and we need to take that as seriously as we do our own reputations. On days like 9/11 and Remembrance Day on the days when storms attack major cities or whenever a terrible tragedy strikes the best thing a brand can do is nothing. This is not your tragedy and co-opting it in an effort to connect with your fans and followers leaves you looking like a used car salesman hocking cars at a funeral.